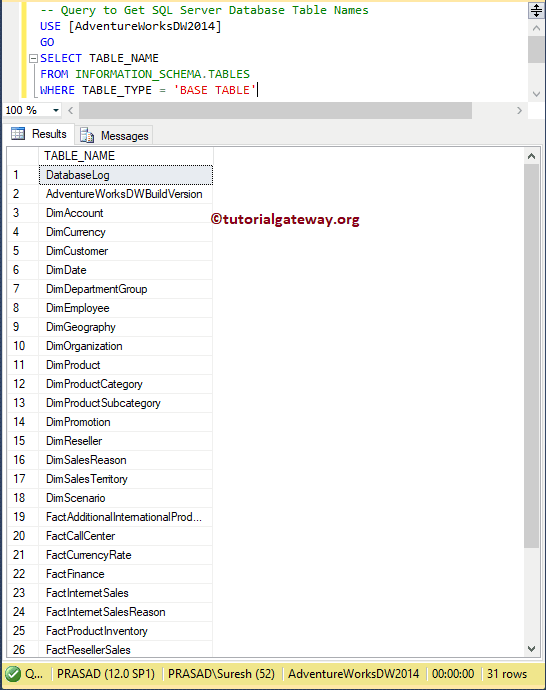 In this article, we will show you, How to write a SQL Query to Get Table Names from SQL Server Database with examples. This is a common Interview Question that you might face in the interviews. 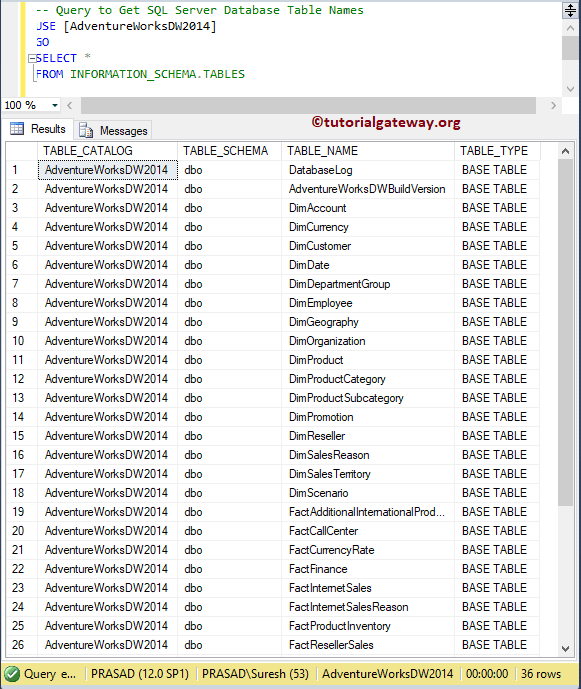 For this get list of table names in Sql Server database demonstration, we are using the AdventureWorks DW database. 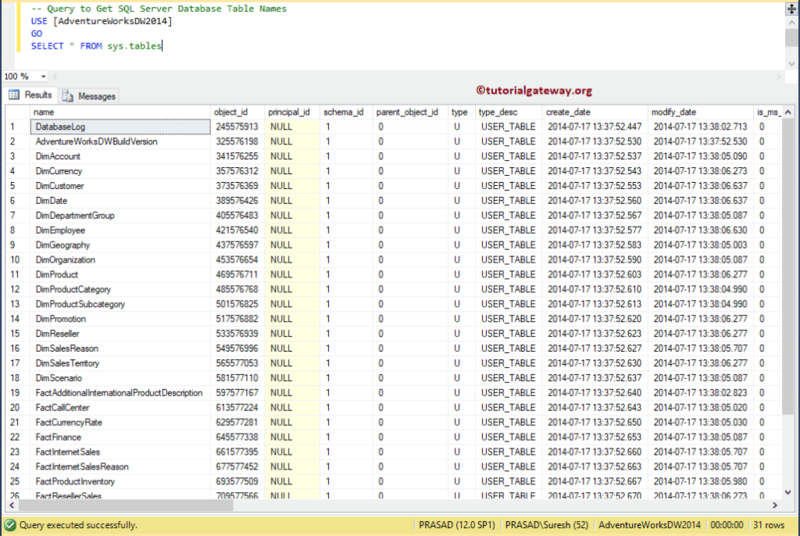 You can also use Where clause along with information_schema tables to restrict the list of table names in Sql Server. 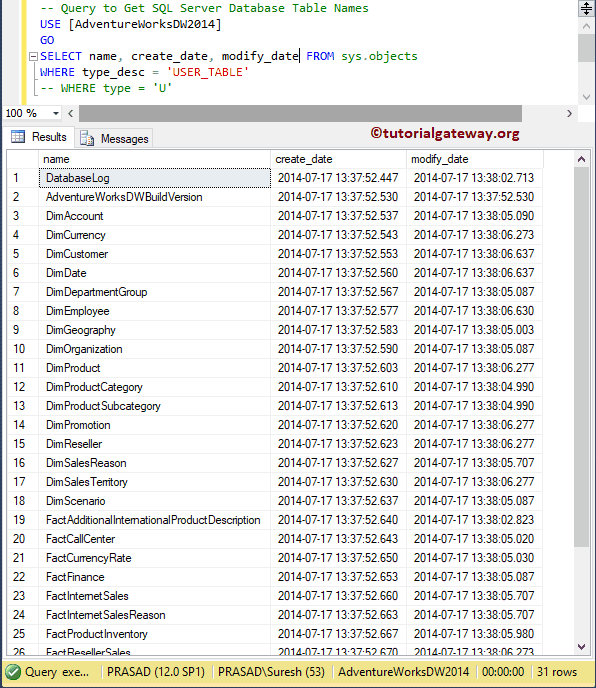 You can also select the required columns from the sys.tables using below shown query. 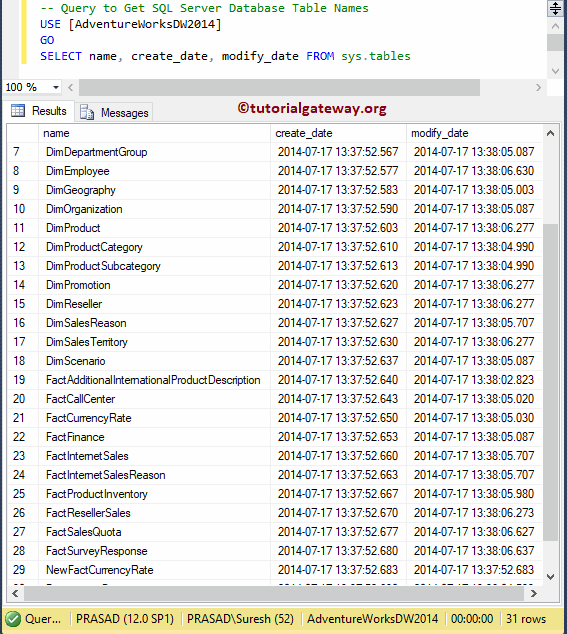 By this, you can see the required columns such as Table Name, Created Date, and Table Modified Date etc.